‘I have recently discovered the wonderful Major Nichols site on the internet. 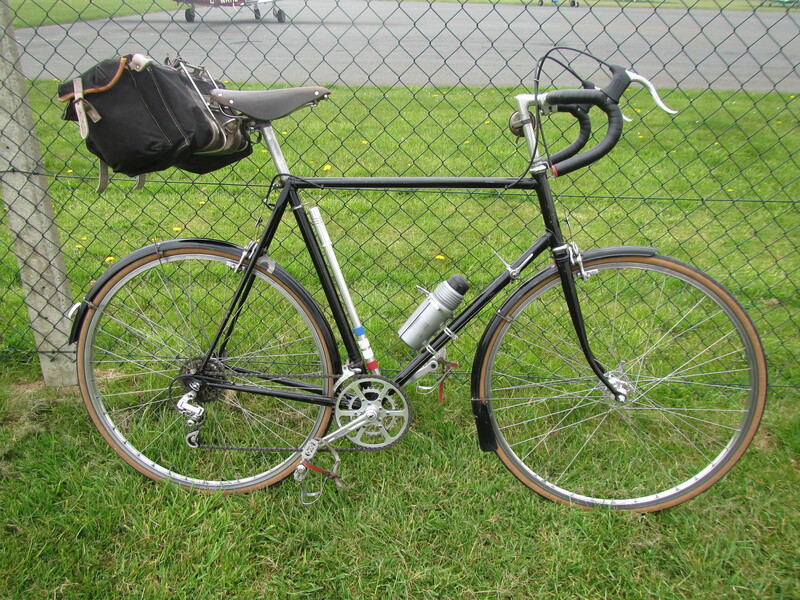 I have had this black bike for about 11 years and always thought that it was a pleasure to ride & rode really well. 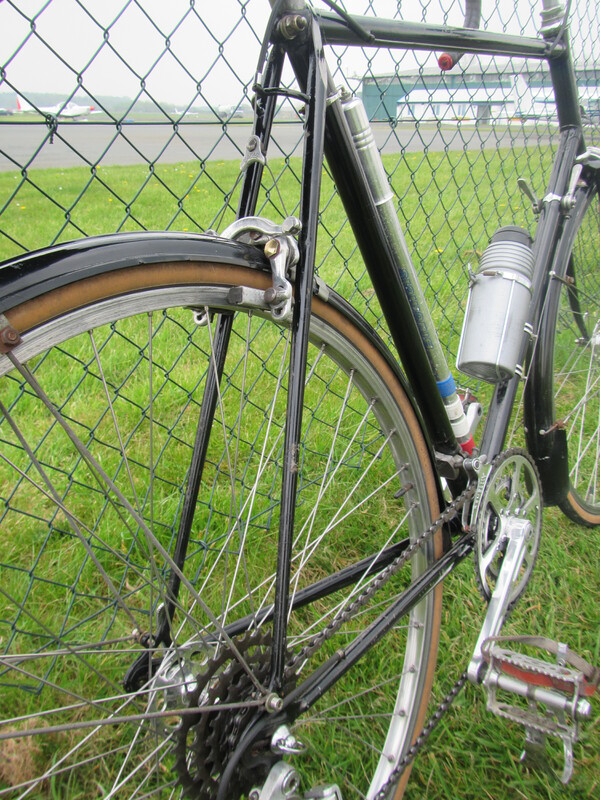 I was aware that it was a well made frame with nicely thinned prugnat Lugs, very slim wrapover top eyes, curved chain stay Bridge, curved seat stay bridge with centre pull brake support disc, liner tube and an elegant slim centre pull brake cable bridge. These features and the fork crown bear a close resemblance to Major Nichols frames on the site from the Reform Street era’. We agree and a lot of other eyes and hands do too! We think, from the story that accompanies this frame, it is one of those he made for sale to order through one of his Birmingham agent outlets. To date we have two ‘other’ frames on the site and know of perhaps a dozen more sold through agents. Where there is a number in the shop record or an MN, the decision whether Major built it or not may be straight forward. In this case the numbers 229 are not in the record. They are in the right place but upside down and the punches appear not to be correct. Those on the steerer saying 53 are in the right punches and this halving of the normal four numbers has happened before on other steerers I believe. 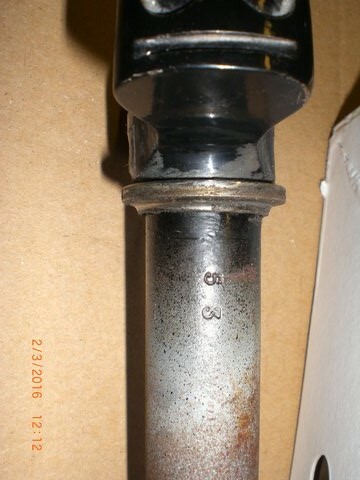 Typical of Italia style frames, the 25”? 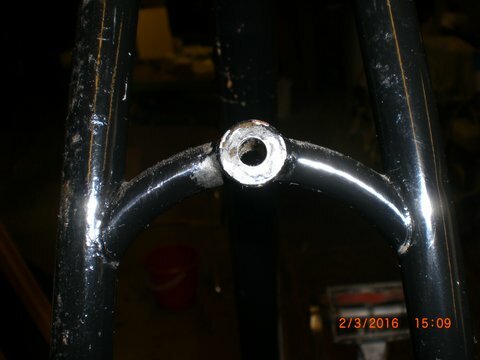 frame has long undrilled spear-point Prugnat S lugs and a fairly parallel geometry. 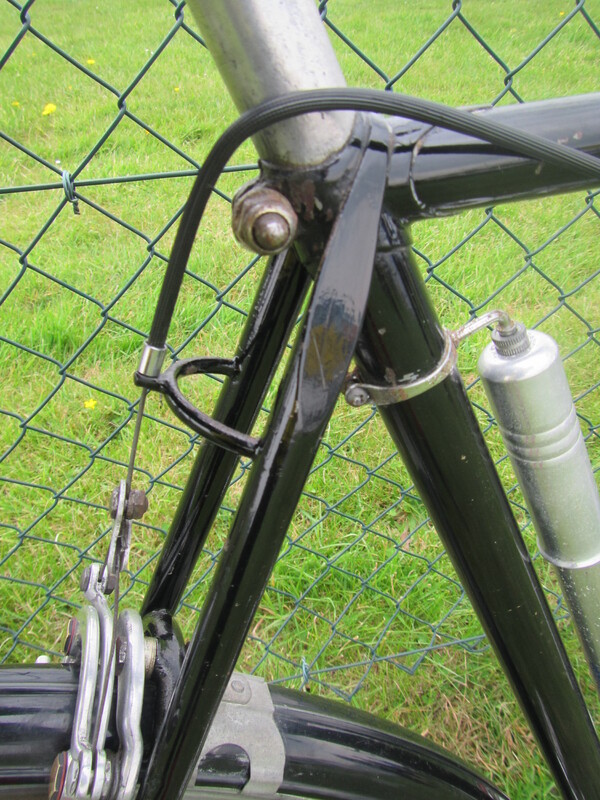 The reinforced curved seatstay bridge and centre pull brake bridge are typical but the curved chainstay bridge is not found in the other Italias we have identified. The frame number is not in the MN record and was probably added later. The curved chain stay bridge, extra front shifter lever boss and rear derailleur down tube stop, lack of pump pegs and lamp boss make it certain that this was a special order and a custom frame intended for road racing and TT use, possibly for a top rider..
We think it was bought through an agent but the faint remnants of an MN headbadge were the final element in deciding that it is an MN frame. 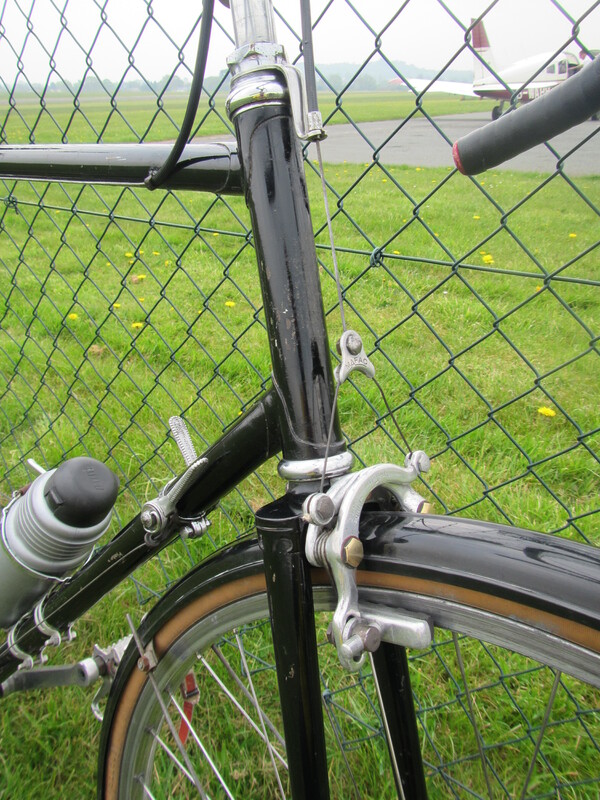 The Milremo semi sloping fork crown is as used in two of the Wilson Italia’s we know. 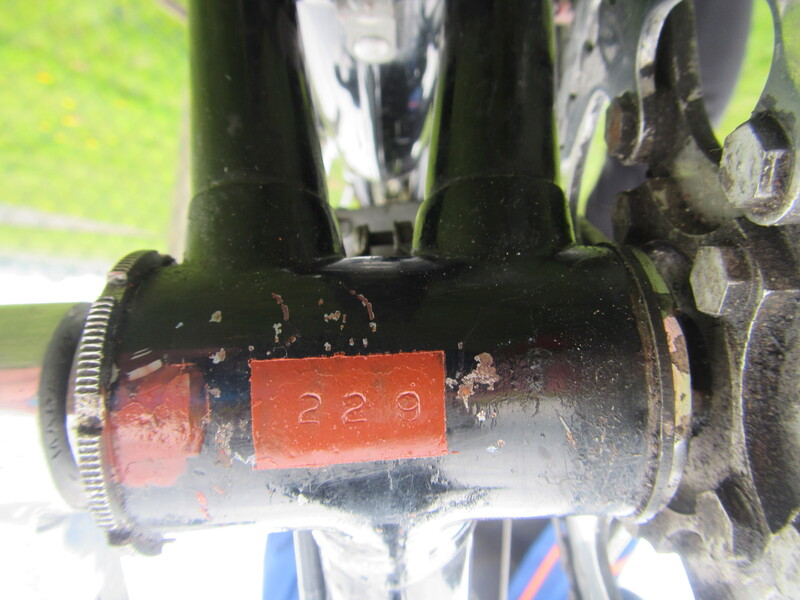 There are two down-tube lever bosses and braze on derailleur cable guides and stops. It is not easy to date the frame. The Italia style spanned from 1960, certainly into the 70’s. I fancy this is early 60’s example. 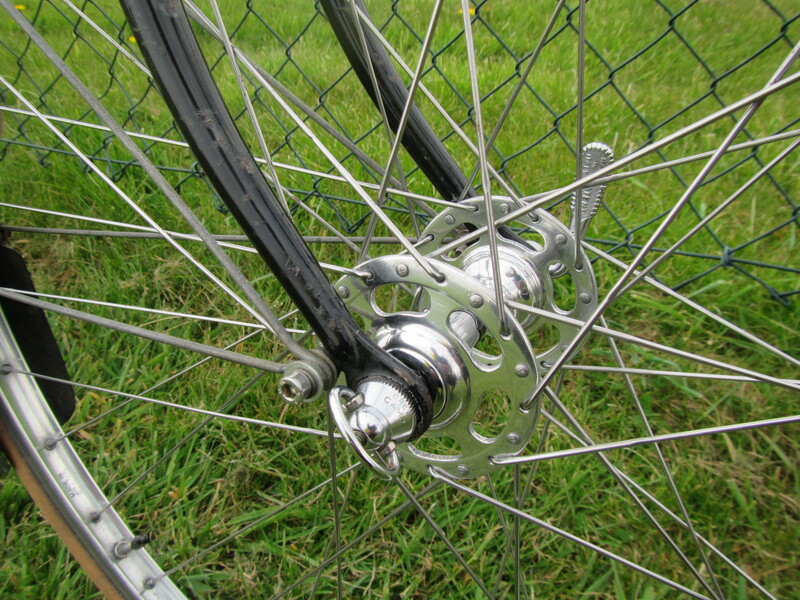 Wheels – Campagnolo L/F hubs on Weinmann Alesa rims I think. Brakes – Mafac Dural Forge/Racer? centrepulls. Nice gold plate bolts. 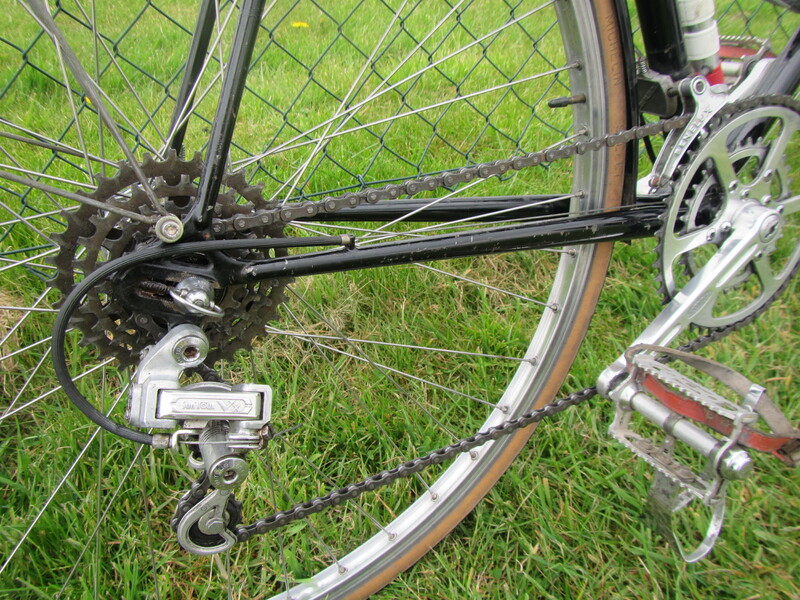 Chainset – Stronglight 49d Crankset with TA double chain ring arranged for touring. Derailleurs, Suntour VX rear, Rare Benelux front derailleur by Cyclo. Brooks saddle on Campagnolo Record seatpin. Bars, stem and levers John? 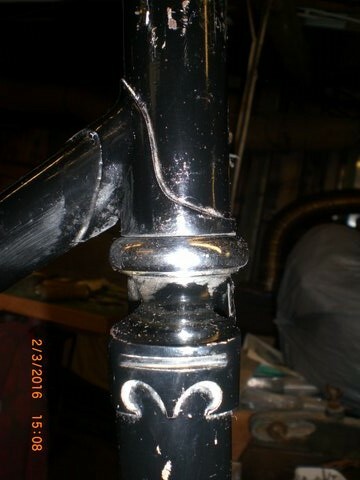 John is right about the fork crown which I did not know until he told us and looked it up. Excellent! We will let the photos speak for themselves on this machine.